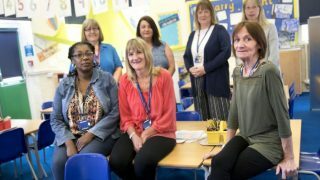 School administrators, business managers and finance workers are regularly administering first aid, handing out medicines to pupils and conducting criminal record checks because of cuts in the number of school support staff, according to a survey published today (Friday) by UNISON. The findings suggest that any further reduction in their numbers – as proposed by several academy chains and schools in the last few weeks – would be felt in the classroom, as teachers would be forced to take on these tasks. The survey of 1,400 school office employees, reveals that administrative and finance staff carry out many duties that are crucial to the running of schools. These activities go way beyond the support role suggested by their job titles, and have a direct impact on the quality of learning and pupil safety, says UNISON. The majority of those questioned (95 per cent) have regular contact with pupils, parents or carers (86 per cent) and more than three-quarters (78 per cent) liaise directly with local authorities and charities to carry out checks. Seven in ten (71 per cent) say they ensure that people visiting schools are safe to do so, and four in ten (41 per cent) organise security checks to make certain new staff have no previous criminal convictions. Cuts to these support roles could lead to schools breaching the law or allowing people who could be a risk to children’s safety to slip through the net, says UNISON. More than half the employees surveyed (55 per cent) say they administer medicines and first aid to pupils, and six in ten (62 per cent) update school medical records. This helps keep children well and allows pupils with special needs to stay in mainstream education. 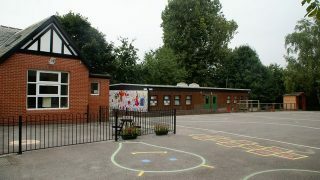 The survey shows that office staff are key to keeping school children safe, says UNISON. They are often the ones who call parents about pupil welfare issues (63 per cent), such as when children are unexpectedly absent. The survey also shows that cuts to school budgets have resulted in fewer books (53 per cent) and computers (42 per cent) for pupils, less funding for school trips (48 per cent) and bigger class sizes (40 per cent). Despite the majority (63 per cent) of survey respondents working full-time, one in ten said they need a second job to make ends meet. 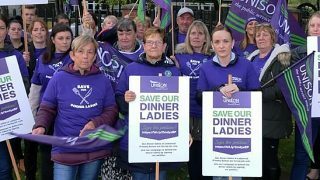 As a result, many also work in supermarkets, or as swimming, dancing and karate teachers, showing the huge impact the public sector pay squeeze is having on schools’ employees across the country, says UNISON. UNISON warns that government advice* to merge support staff or share them between schools could put children’s health and well-being at risk as staff are already overstretched, with excessive workloads their top concern (87 per cent). Almost half the respondents (47 per cent) said that the number of administrative staff had been cut over the last year. This has left almost three-quarters of those (74 per cent) in post with no alternative but to work additional, unpaid hours. Six per cent said they regularly work more than eight hours a week for free. UNISON head of education Jon Richards said: “School office staff go above and beyond every single day and schools would struggle to manage without them. If their jobs go, everyone – heads, teachers, pupils and parents – would notice the difference. “These employees play a vital role keeping children safe, reassuring parents and ensuring the smooth and cost-effective running of schools. Without them, already overstretched teachers and teaching assistants could be pulled out of classrooms. “Cutbacks in education funding are having a devastating impact on children’s education. With money so tight, schools are having to slash the amount they spend on books, tablets and computers, and go cap in hand to parents. * Earlier this year, the government issued advice to merge support staff or share them between schools. The government expects schools to make £3billion of ‘efficiency savings’ by 2020. UNISON wants to see these cuts reversed and children’s safety and education put first. The Conservatives have pledged an extra £4bn for schools in England by 2022 – partly funded by ending the current provision of free school lunches for all infant pupils in England. The online survey was carried out in April 2017, and a summary of its key findings is available here. The average take-home pay of those who responded was between £1,000 and £1,200 per month. The majority of the respondents were women aged 46 to 55, working in primary (50 per cent) and secondary schools (40 per cent).